Gala! 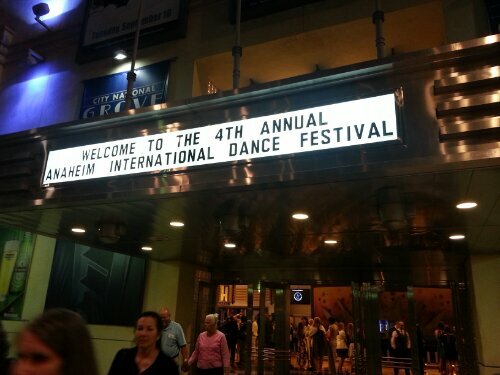 Anaheim International Dance Festival August 10th 2013. Very inspiring and moving. +Giselle Pas de Deux (Marius Petipa after Jean Coralli, music by Adolphe Adam): Maria Kochetkova and Taras Domitro!!! ++Lifetime achievement award: JACQUES D’AMBOISE…..poetry by Burns, Longfellow and Hafiz on dancers and dancing . +The Leaves are Fading- Stella Abrerra and Sascha Radetsky- beautiful together. +Tide Harmonic, a new piece by Christopher Wheeldon also performed by Maria Chapman and Joshua Grant. Really liked it. +Le Corsaire-Maria Kochetkova and Taras Domitro- beautiful. Special appearance by Joaquin De Luz- variation from Swan Lake and another more contemporary piece (not in the complimentary program). +Finale-THIS IS THE MOMENT- choreography by Sarma Lapenieks Rosenberg. +Music by Ligeti, Adam, Dvorak. 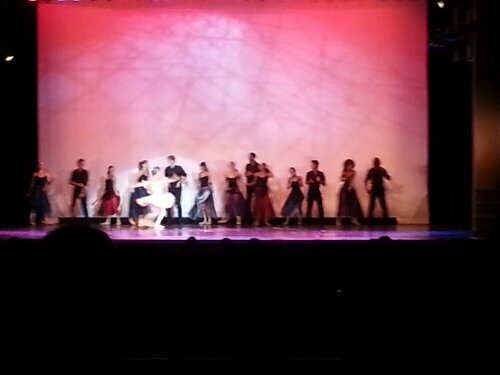 Great night for AIDF and fans of ballet. +What an honor to meet one of the great icons of American ballet, Jacque d’Amboise. His foundation The National Dance Institute helping over 2, 000, 000 children experience dance!